Flight TB2532 (OO-JAR) indeed diverted to BRU. I guess pax were bussed to CRL. This diversion could have two reasons: very late departure of the flight (5 hr 30 min late), or weather conditions. Vietnam Airlines A321neo on delivery flight routed Hamburg-Baku-Hanoi, diverted to Lahore in Pakistan due to a technical issue today. Emirates flight #EK15 DXB-LGW operated with A380 A6-EDL squawked 7700 and now diverting to MAN. Diverting to take a longer route? 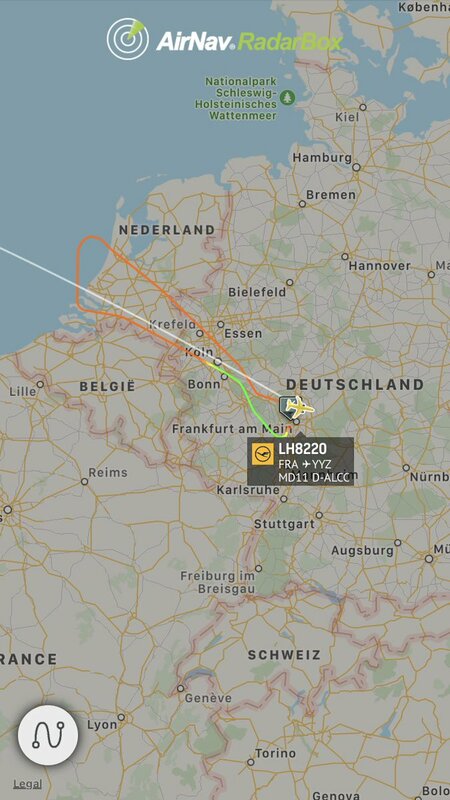 Lufthansa freighter flight #LH8220 (MD11 reg. D-ALCC) to Toronto is returning to Frankfurt. Reason unknown. Thomas Cook flight #MT302 (Newcastle-Hurghada, A321 G-TCDR) diverted to Manchester after burning fuel over the North Sea. 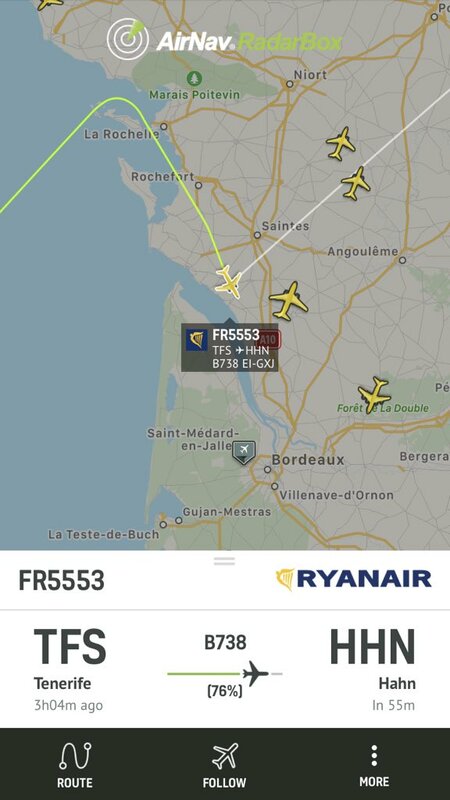 Ryanair flight #FR5553 (B737-800 reg. 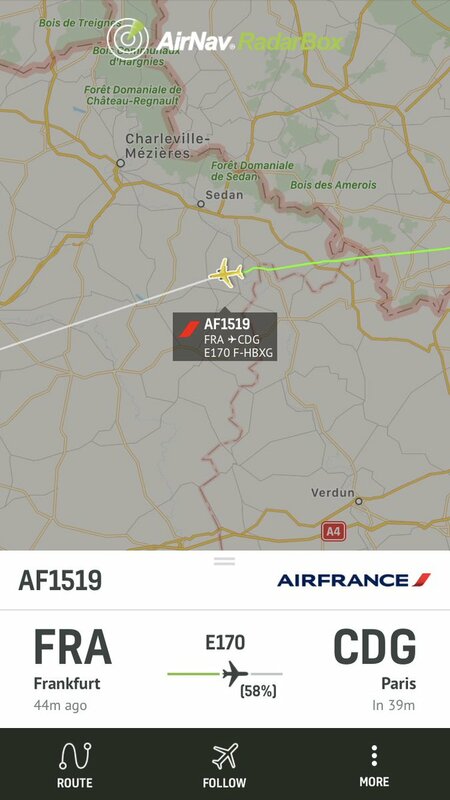 EI-GXJ) from Tenerife South to Frankfurt Hahn is diverting to Bordeaux, reason unknown. Ryanair flight #FR5553 (B737-800 reg. EI-GXJ) from Tenerife South to Frankfurt Hahn is diverting to Bordeaux. BEL224 BJLBRU diverted to LPA on Feb 24. Anyone knows why? OO-SFU took off again from LPA to BRU after 90 minutes, which suggests it was probably a medical diversion. Strong winds at Gibraltar Airport this morning, a British Airways aircraft diverted to Malaga. The aircraft made a go-around and was filmed heavily banking left and right during the climb-out. One passenger filmed the event. Hold on tight !! Emirates flight #EK151 (A388 reg. 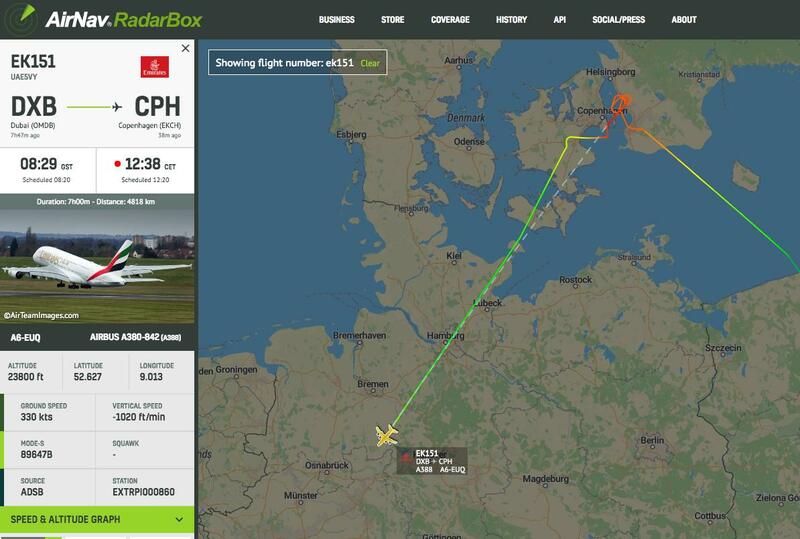 A6-EUQ) to Copenhagen is diverting to Dusseldorf (quite far away) due to strong winds (gusts up to 40kts). 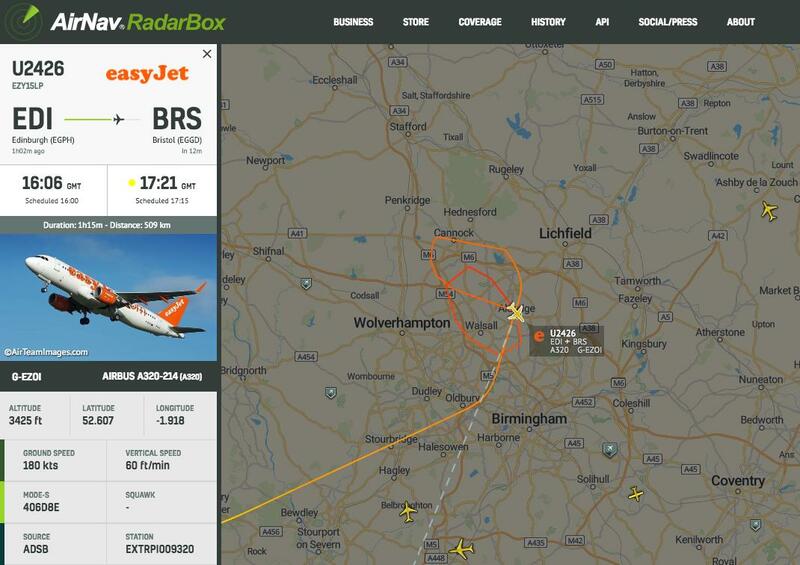 Some problems for A320 OO-TCH SN1683 BRU - HRG? Air Transat flight #TS942 from Montreal to Fort Lauderdale (Boeing 737-800 reg. 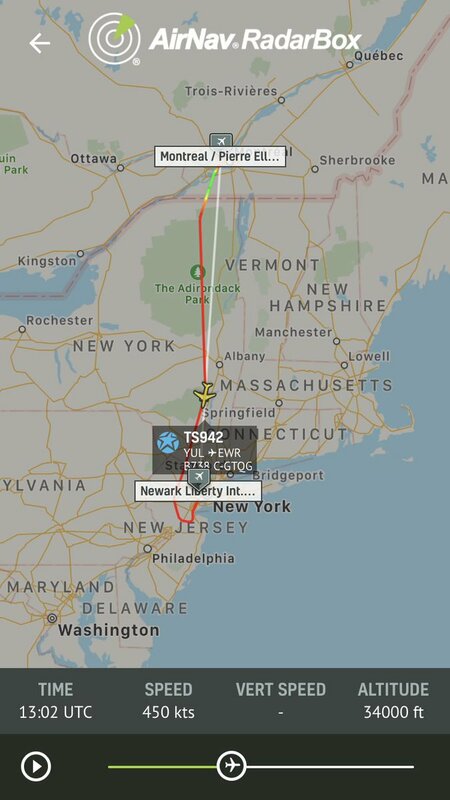 C-GTQG) diverted to Newark after a suspected fire in the cargo hold. After a rapid descent, the aircraft landed on Runway 4R. 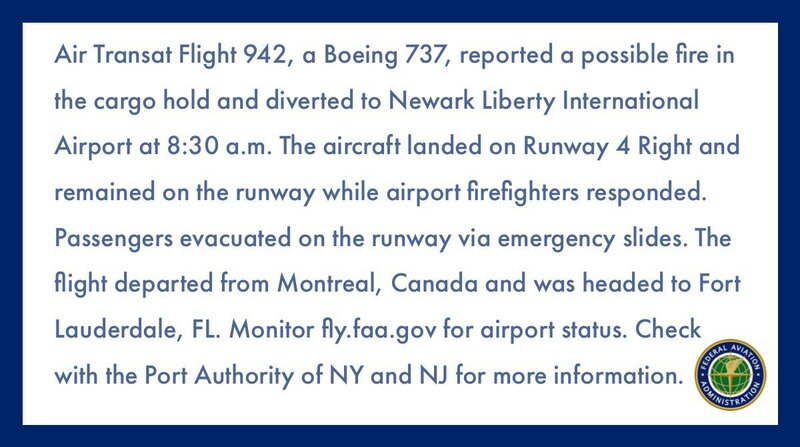 Passengers were evacuated through slides on the runway, which remained closed for an extended period of time. At a given moment, all runways have been closed.